* No compensation was received for this post. Crayola provided information for the post, a gift pack for my family and one for the giveaway. All opinions expressed are entirely my own or that of my family. 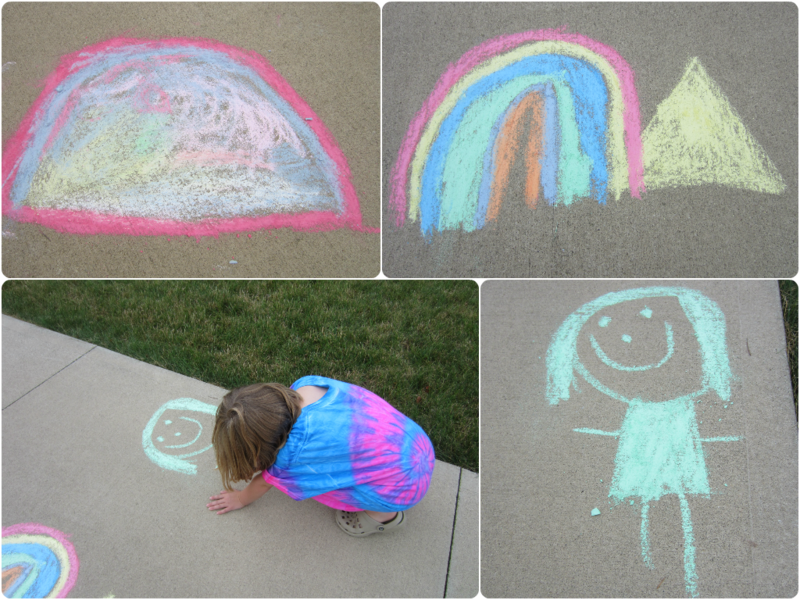 As a mom, in today's world, I am so glad for the simple things...a box of crayons, water colors, sidewalk chalk. It is so nice to watch the kids be creative and express themselves...and to spend hours busy entertaining themselves with the favorites of my own childhood. Not that I let my kids spend a lot of time on the computer, iPod, iPad or watching TV, but some days it sure feels like that is the primary source of entertainment and that is why it is so refreshing to watch them color and create. There is just something so inviting about a blank concrete driveway when you have a pack of sidewalk chalk. There is something about having such a large canvas to color on. At our house, we tend to draw rainbows, sunshine, our names and roadways. I love when they make roadways and then grab their scooters to travel the routes that they drew...and the stories about how when you get to the dead end your scooter flies to the other side of the pathway and reenters. I think as a mom, one of my favorite new products from recent years is Color Wonder...I love that I don't have to worry about colors winding up on all sorts of other surfaces in my house, with the special Color Wonder markers, the color only shows up on the Color Wonder paper. That is pretty awesome! I am really excited about their new Color Wonder Glitter Paper and Markers. My daughter absolutely loves glitter, but it seems that we get glitter everywhere...whether from a craft or a new shirt that glitters. It can be a pain to clean up, so knowing that this product gives her the glitter effects with no glitter mess is a good thing in my book. Their Color Wonder Mini Stow and Go is perfect for entertaining the kids on the go. The container has space to securely store 6 Color Wonder markers and a small pad of paper. It comes with three markers, but we filled ours with some of our other markers...to give us the most variety when we are coloring on the go. The small paper pad it comes with is plain color wonder paper, allowing the kids to use their imagination to color whatever comes to mind. The container makes a perfect writing surface for them in the car...fitting easily in their small laps. *A standout from the crowd -- it’s the first sidewalk chalk featuring 48 classic Crayola crayon colors! And that’s not all - the chalk is also bolder and more vibrant than ever. *With so many colors to choose from, kids can let their imaginations run wild to create beautiful masterpieces that may include “carnation pink” flowers, “sepia” colored tree trunks, “granny smith apple” turtles or “scarlet” colored lady bugs. *A new anti-roll shape prevents chalk from rolling away and the wide sides allow kids to draw thick lines. *Parents will appreciate that the chalk is washable from sidewalks and driveways - simply spray away with water! • Mess-free fun hits the road with Crayola Wonder Mini Stow and Go! • The Color Wonder Mini Stow & Go gives you a portable writing surface and storage for your creations and markers. • Markers color only on special paper and not on skin, furniture or carpets! * Crayola’s new Color Wonder Glitter Paper is full of glittery fun but without the mess, since the glitter effects are in the paper. * Kids can create dazzling, sparkly masterpieces with their favorite Disney Princesses and Fairies. * With Crayola’s Color Wonder system, parents can rest easy since the mess-free Color Wonder markers will only appear on the special Color Wonder paper – not on skin, clothing, walls or furniture. * Kids can color and watch in awe as hidden images magically appear on the glittery paper. Crayola has offered to send one A Busy Mom of Two reader a Crayola Summer Gift Pack. Giveaway will remain open through August 16th. Giveaway is open to residents of the US only. Winners will be selected through Rafflecopter. The winners will have 24 hours to respond or a new winner will be selected. No compensation was received for this post. Crayola provided information for the post, a gift pack for my family and one for the giveaway. All opinions expressed are entirely my own or that of my family. I love the air dry clay. I like the Crayola website because they have coloring pages you can print out and great craft ideas. My daughter loves the Crayola Color Wonder pads, especially the Disney Princess ones. We would have so much fun with the Color Explosion Glow Board! The catwalk creations. My daughter is really into designing clothes right now. Dry-Erase products are my favorite. Let them get messy and then wipe the mess away. What could be better? I love all the color wonder things. the 3-d stuff looks pretty fun! Dry erase is always a winner. And easy to clean! I like the bubble machine. The kids would like the stamp set! My kids would like the "Color-Fillz™ Mosaic Art - Disney Cars"
The catwalk creations have been a hit for us. The 3D chalk looks great! All of my kids would like it!!! I would love to try the Color Wonder Floor Puzzle. My toddler is really into puzzles and coloring now! I really love the Outdoor Colored Bubbles! The Wild Notes notebooks look great too! 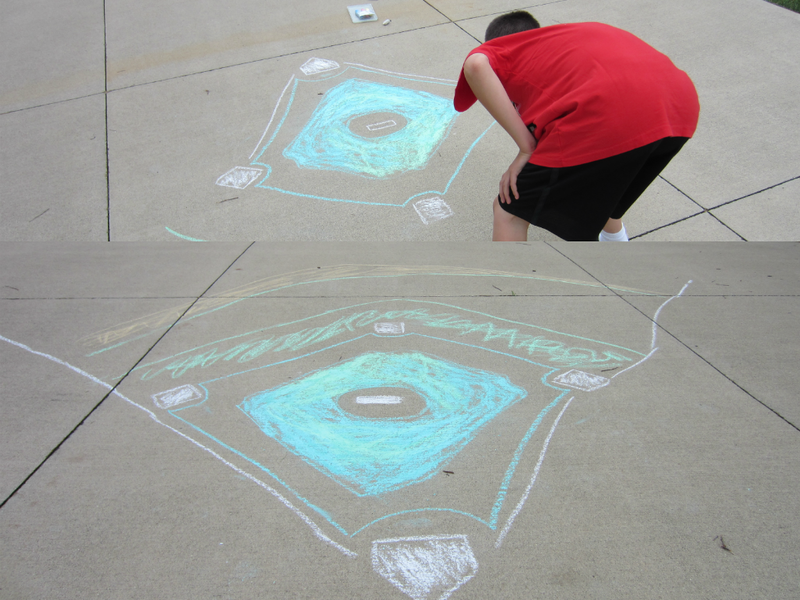 I love the washable coloring chalk. My kids love to draw on the streets. I'd love the Color Explosion Glow Dome! My First Crayola Mess-Free Fingerpaint and Paper would be great to try. I like the washable finger paints, bold colors. Outdoor Colored Bubbles sound kind of silly but like a lot of fun. My kids would love the bubble machine. I like the classic products and want to try the outside colored bubbles with the wand. I like lots of their products. I would like the Color N Sticker Disney Princess. kristiedonelson(at)gmail(dot)com Thank you. The Color Explosion Glow Dome is another thing my niece would really have fun with. My kids would like the sidewalk chalk rainbow rake. My kids love to paint. I would love to get them the washable kids' paint. OHHHH! I think my grandchildren would love the Artigamy Xtreme Coloring books! The bubble maker for sure!! The air dry clay looks really neat. I love making things with the clay with my kids. I'd love to share the 25-lb. Value Pack of Air-Dry Clay with my girls! I'm sure my kids would like it, too, but I'd love the dry erase set! The crayola Catwalk Creations looks fun!